After pregnancy, many new moms still have belly fat and they may think that belly fat will never be reduced. The fact is that it took 9 months for the belly to accommodate, and keep their babies safe; therefore, it will need some time to get back to the normal state. However, you can boost up the process by applying some tips to get back into shape. In this article, Healthy Guide will show you some of the natural ways to reduce belly fat naturally after delivery. So, if you are looking for natural ways that can help you get your tummy back to its original size, you should keep your eyes on this interesting article and then consider applying one or more of these tips as soon as possible. Like balloons, when the baby grows, your belly will slowly stretch and when the baby comes out, your belly will not pop. Instead, after pregnancy, the body’s hormonal changes cause the uterus to gradually come back to its normal shape. Generally, the uterus may need about 7- 8 weeks to come back to its normal size. Addition to this, the extra foods you consumed during your pregnancy are stored in your tummy in the form of fat and unfortunately, the belly fat is stubborn. Rarely, a new mom’s belly reduces back to pre-pregnancy shape in just a few days, and it often takes several months to come back to normal. Unluckily, some moms do not lose their belly fat. However, do not be worried too much because if you follow a balanced diet, stay active, and follow the following good tips, you can reduce your belly fat quickly. Read on How To Maintain A Healthy Weight Without Harsh Dieting to discover some of the best ways that can help you maintain a healthy weight without going on harsh diet. There are some beauty tips that can help new moms shrink their tummy fat naturally at home. And of course, they are also easy to apply without causing any unwanted side effect. Therefore, you should consider applying one or more of them if you want to shrink your tummy fat at home. This is the first one of the best ways to reduce belly fat at home that I want to mention in this article and then try to get enough sleep. If you do not have enough rest, this can cause the buildup of toxin in the body, which results in inflammation and when the body has inflammation, it may make the fat receptors move to the central area and the fat molecules be stored in the stomach area. In fact, when you have a newborn, it can be difficult for new moms to get enough sleep. However, to reduce belly fat, you need to take as much rest as you can. List of Top 48 Best Home Remedies For Stress Relief And Removal will show you some of the best home remedies that you should try applying to reduce stress naturally, so check it out! When it comes to reducing belly fat without going to a gym, a full body massage can be really effective. 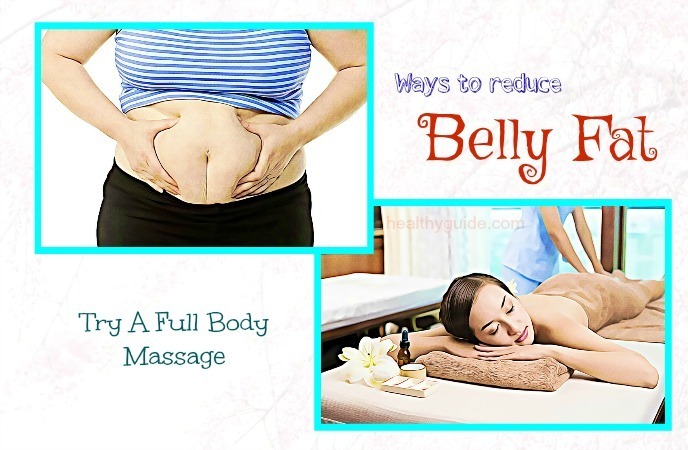 Therefore, you should try getting a massage that targets the belly to help shrink the belly fat. A massage will help to distribute fat in the body and also improve metabolism, thereby helping to reduce the baby fat. For the best results, you should get a massage every week. If you are looking for ways to reduce belly fat after pregnancy, you should remember to count your calories. Counting calories can help ensure that you get enough calories and nutrients your body needs. You can keep a food diary or take pictures of your foods. Besides, there are some mobile apps that can help you tract which foods you consume throughout the day. This technique can help you have a proper size and choose healthy foods, and of course, they are helpful to weight loss. Many new moms make a big mistake when they skip their meals or take dietary supplements instead of having a proper diet post childbirth. During this period, you need to maintain your diet to be able to produce enough milk. Your milk should be loaded with micronutrients to help in maintaining the metabolic cycle of the baby and boosting postnatal development. Therefore, it is important to include colorful veggies, green leafy veggies, cruciferous fruits, lean protein, and spices in your daily diet. Besides, you should also reduce your intake of salt and sugar. When it comes to ways to reduce belly fat after pregnancy, you should remember to avoid highly processed foods. We all know that processed foods such as cookies, chips, candy, baked goods, ready foods, etc. are high in salt, sugar, unhealthy fats, and calories, and all of them can lead to more belly fat. Therefore, it is necessary for you to reduce the intake of processed foods and replace these unhealthy foods with fresh, nutrient-dense foods. Drinking enough water is very important for losing weight. A study suggested that just by drinking 1l of water per day, overweight women could lose nearly 2kg in a year. Besides, drinking water may also help you reduce the appetite and the intake of calories. Especially, for breastfeeding women, drinking water is very important for lost fluids replacement through milk production. Therefore, you should try to drink 1-2l of water daily to help with your weight loss process. And, if you are breastfeeding or you exercise a lot, you may need to drink much more. Going for a diet is not effective and it is also not good for your health. The fact is that when you eat well, you will also burn calories. Therefore, you should aim for 2 heavy meals and 3 – 4 smaller meals a day. Also, remember to go heavy on your breakfast. Do you want to know other ways to reduce belly fat at home after pregnancy? Continue to read this interesting article and then try to apply one or more of these ways for good. This is another one among best ways to reduce belly fat naturally after pregnancy that you should know and then try to consume more fiber-rich foods for good. Eating fiber- rich foods has been found to help you lose weight. According to a study, every 10g of soluble fiber contributed to a 3.7% decreased belly fat over a period of 5 years. Besides, according to a study about high-fiber foods , taking in soluble fiber may also make you feel full for longer by reducing the levels of hunger hormone and slowing down the digestion. Other ways to reduce belly fat after pregnancy tat you should know must include avoiding sugar and refined carbs. Sugar and refined carbs are low in nutrients and high in calories. And a high consumption of sugar and refined carbs is also related to higher risks of weight gain, heart disease, diabetes and cancer. So, when shopping foods at grocery stores, you have to read their food labels. If sugar is one of their main ingredients, that product should be stayed away from. Research has shown that a small amount of alcohol can offer some health benefits. Nonetheless, when it comes to losing weight, alcohol may offer extra calories without nutrients. Moreover, according to a study , drinking alcohol may also lead to more fat getting stored around the tummy. More importantly, alcohol can cause a temporary decrease in the volume of breast milk in breastfeeding mothers. Therefore, if you want to shrink your tummy fat and prevent the formation of more belly fat, you should try to keep away from alcohol. By boosting the shrinking of the uterus, breastfeeding has been found to build the immunity of the newborn babies and also help new moms lose the belly fat after pregnancy. According to a study, breastfeeding may burn nearly 500 calories a day, thereby helping your uterus to come back to its pre-pregnancy shape. 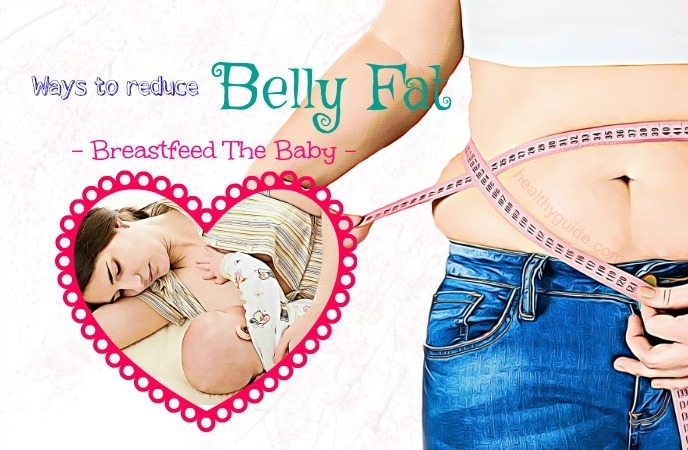 As a result, you should start breastfeeding if you want to get rid of your belly fat. Some new moms have depression about their shape post-childbirth, and then they go on extreme diets that affect both their health and their baby’s health. Actually, starving yourself will never be helpful and it will just make their situation worse. Therefore, to shrink belly fat while maintaining your health, you should avoid extreme diets post-childbirth. Actually, this is another one on the list of ways to reduce belly fat at home that you should know and then remember to avoid extreme diets as soon as possible. Belly wraps can help you tuck the abs and boost up the shrinking of the uterus back. Therefore, it is one of the best ways to reduce belly fat naturally that you should try out. Besides, using belly wraps also helps new moms improve their posture and ease back pain. The only thing you need to do is to wrap your midsection with the help of a soft cloth. Ensure that wrapping is not too loose or too tight. However, before wrapping your tummy, you should talk to your doctor. Allow it to stay in the sun for 7 days. Remember to shake this bottle at least twice per day. Now, apply this homemade lotion onto the tummy area to get a flat belly after delivery. When it comes to natural ways to reduce belly fat at home, you should try to relieve your stress as soon as possible. For a few months after pregnancy, you cannot chase your hobbies to help reduce your stress. According to a research about meditation , practicing meditation may be one of the best solutions for you to relieve stress. Meditation will help you reduce the background noise, remove the negative energy from the body, and also improve your sleep. Moreover, practicing meditation will not affect the sleep of your baby. Curry leaves can be used as a natural detox, so they can help you get rid of belly fats. Alternatively, you can try chewing on some raw cloves of garlic and then drinking a cup of lemon water to help you tummy get back to its original size after delivery. Another one among the best ways to reduce belly fat naturally is that you should try drinking green tea. Drinking a cup of green tea per day can help you reduce your tummy fat thanks to its high content of antioxidants. However, keep in mind that you should not drink green tea too much if you are breastfeeding. This is one of the easiest ways to reduce belly fat at home after pregnancy that I want to mention in this article. The only thing you need to do is to add some fresh lemon juice, and ½ tsp. of honey to a cup of warm water. Then, drink this solution before you enjoy your meals or when you have an empty stomach. You can also add some thin slices of cucumber or some mint leaves and brew the water overnight. Just note that you just take mint leaves in moderation because they can have a reduction in your milk supply. 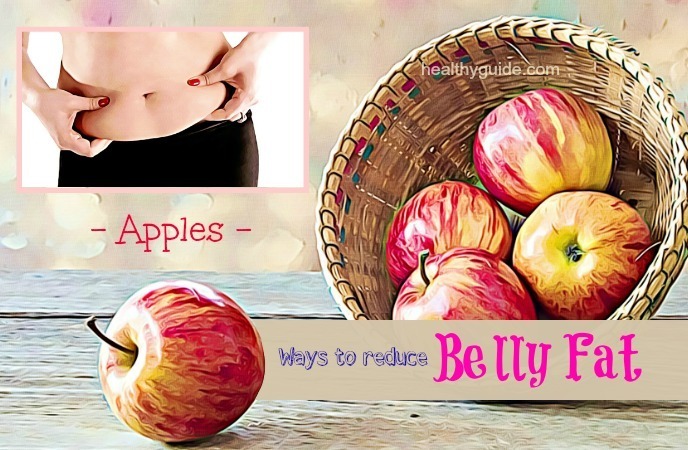 According to a study about the belly fat diet , apples can work well to reduce belly fat as well. This is because apples contain a compound called pectin, which can help you burn the excess belly fat. Besides, apples are also rich in antioxidants, which help to prevent the buildup of excess fats around the tummy area. Also, do not forget the other benefits of eating apples for human health. Motivation is very important for weight loss, so staying motivated is considered as one of the best ways to reduce belly fat naturally that you should remember to apply. And if you want to shrink that stubborn belly fat, you have to stay motivated. When you are a new mom, you can find difficult to stay motivated to exercise. A simple solution for you is to track your weight loss. When you see the numbers go down, your motivation to stick to your weight loss regime will increase. New mothers often experience sleep deprivation, stress and some can even experience postnatal depression. And, if you are depressed or anxious, or simply you have difficulty in dealing with the fat around your tummy, you do not feel afraid to ask your friends and family members for help. They can help you do housework, prepare meals or take care of your baby for several hours so that you can sleep or get some exercise. Also, if you need professional help, your dietitian, doctor or a psychologist can give you a support. There are some simple exercises that can help you shrink your tummy fat. And now, I will reveal some of these effective exercises. Walking is a simple form of exercise that can help you reduce belly fat effectively. Especially, when you suffer from the headaches, body aches, and soreness, walking is particularly helpful. You can spend some of your evenings going for a gentle walk around your house or in the park. You can also carry your newborn baby in a front pack if the weather is pleasant. In the beginning, you should try to go for a walk for about 15- 30 minutes, about 5 times a week. 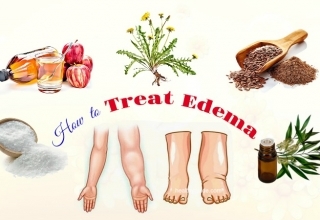 Gradually, you can make some necessary changes after consulting your doctor. Yoga is also one of the best ways to reduce belly fat after pregnancy that you should not look down. Do daily, early morning yoga poses and breathing techniques to enhance your mind and soul. You can start practicing yoga poses at home or take part in some yoga classes. To lose weight, reduce belly fat and tone the muscles, you should consider swimming a few times a week. However, in order to avoid unwanted infections, you should go swimming only after at least 1.5 months of the birth. Actually, this is known as one of the most effective ways to reduce belly fat after pregnancy that you should not look down, yet try to apply for good. These exercises can help you tone your bottom, thigh and tummy muscles. Therefore, they are also known as best ways to reduce belly fat after pregnancy. Bend down the knees while sliding your feet upwards, and then take it to the bottom area. Then, take a deep breath. When you exhale, you need to tighten the pelvic floor along with the belly button. Next, try to lift your bottom as high as possible for about 5 seconds while you still keep breathing normally. Now, slowly put down the bottom back to the ground. At the same time, relax your pelvic floor and also lower your tummy muscles. Repeat this exercise 7- 10 times. These exercises can help you get your tummy back in shape. So, if you are looking for ways to reduce belly fat after pregnancy, you should not skip out these exercises. Then, inhale and exhale your breath. When exhaling, you need to constrict the pelvic floor muscles. After that, pull the belly button inside and upwards. 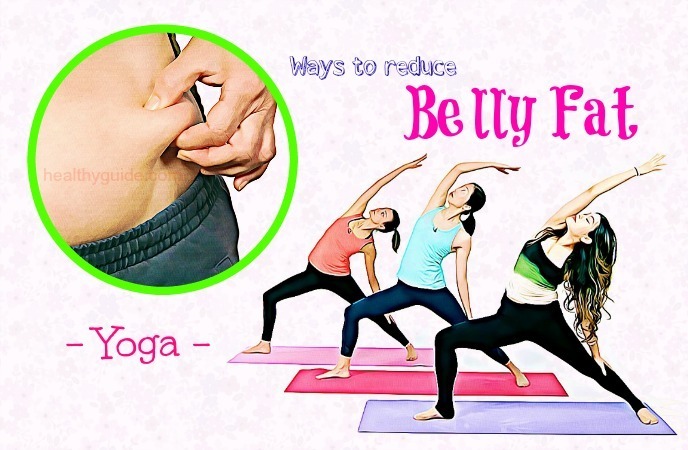 This particular exercise can help you reduce the fat on your lower tummy area, making it one of the simplest ways to reduce belly fat after pregnancy for new moms. At first, lie on your back on the floor. Place your hands behind the neck and then slowly raise the head toward the ceiling. Alternatively, place your crossed hands on the side of your tummy and then do sit ups . In this article, we revealed some of the best ways to reduce belly fat after pregnancy. Keep in mind that losing weight too quickly can lead to loose and saggy skin. You have much time to lose weight; so at first, you should focus on the wonderful moments with your baby and apply the tips above to shrink your tummy fat naturally. Although the saggy abs and belly fat are hard to deal with, you can get rid of them completely. All of the tips above are effective if followed regularly and properly. So, you should start right from today and watch your belly fat be shrunken. Also, if you know other ways to reduce belly fat after pregnancy, feel free to share them with other new moms by leaving your comments below.